Our friends at Postmark Brewing have come to an agreement with Dominic Giraldes to take over the Brewmaster position starting August 4th, 2015. Dominic comes to Postmark from Central City Brewing and Distillers where he brewed for legendary BC brewer Gary Lohin for the past six years at both the brewpub and production facility. Dominic attended the American Brewers Guild in Vermont in 1997 and then completed his apprenticeship at Deschutes Brewery that summer. After returning to BC he brewed with David Varga at Taylor’s Crossing. “My goal at Postmark is to develop top of the line craft beers and a brand synonymous with quality, balance, freshness, and artistic creativity,” comments Dominic. “We are absolutely thrilled to have Dominic join the team. 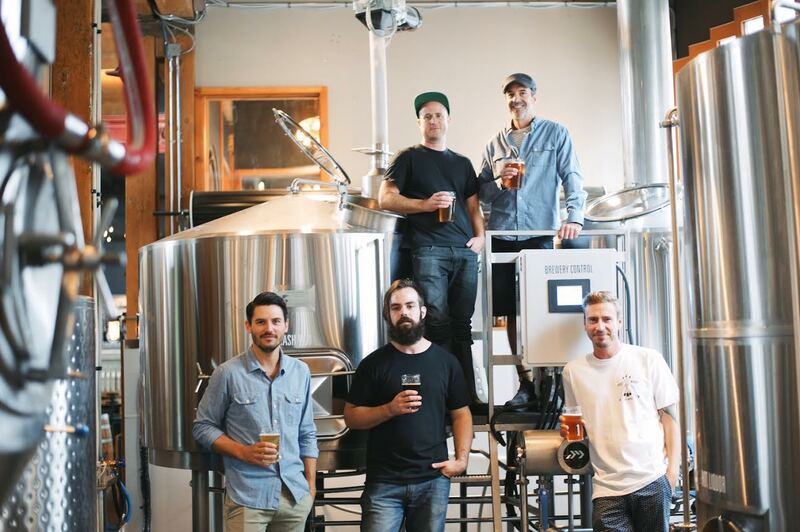 He has surrounded himself with some of the best brewers in BC over the past 10 years and this expertise and knowledge will be massive assets to Postmark as we expand the brand,” says co-founder Steve Thorp. “Beer quality and consistency is paramount to us, and Dominic feels the same way. We have a signature Session Beer style that Dominic believes strongly in, making him a perfect fit. Partnering with Dominic is exactly the right move to continue to strengthen our brand,” comments co-founder Nate Rayment. Current Brewmaster Craig Noble will be leaving Postmark on August 25th and taking a 2 month beer sabbatical in Europe, traveling through Belgium, the Netherlands and Germany filming for upcoming content, and hosting some CRAFT screenings. We wish Craig the best of luck with future ventures and will always be grateful for his investment in Postmark.